Launched in 1971, UNESCO’s Man and the Biosphere Programme (MAB), is an Intergovernmental Scientific Programme that aims to establish a scientific basis for the improvement of relationships between people and their environments. Biosphere Reserves (BRs) are areas comprising terrestrial, marine and coastal ecosystems. Each reserve promotes solutions reconciling the conservation of biodiversity with its sustainable use. BRs are places for testing interdisciplinary approaches to understanding and managing changes and interactions between social and ecological systems, including conflict prevention and management of biodiversity. They are nominated by national governments and remain under the sovereign jurisdiction of the states where they are located. Their status is internationally recognised. 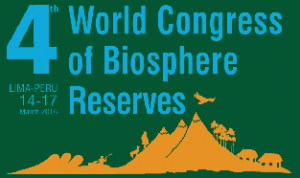 The World Network of Biosphere Reserves currently counts 651 biosphere reserves in 120 countries all over the world. Galloway & Southern Ayrshire Biosphere is currently Scotland’s only UNESCO designated BR, however, it is expected that Wester Ross Biosphere will be officially recognised in Lima in March 2016. Since 2011, ASC has been working to introduce social enterprise and social capital to UNESCO’s Man and the Biosphere Programme. To facilitate the process, we designed a Social Enterprise & Biosphere Reserve (SEBR) Development Framework document outlining practical steps to understanding and implementing SE within BRs. Launched at EuroMAB 2013 in Canada and at the 7th South East Asia BR Network meeting in the Philippines in October 2013, the Framework introduces social enterprise and outlines the importance of social capital for sustainable economic development. With a foreword by Deputy First Minister, John Swinney, it also highlights Scotland’s commitment to supporting social enterprise. As a result, a SEBR cluster for the EuroMAB region was established which ASC facilitates through meetings and a facebook page. There are currently 30 members in the SEBR Cluster from 13 countries. This has been extended to include BRs from Vietnam and South Korea. Together with our partners from Europe and Asia, our work has led to social capital being adopted as part of the South East Asia BR Network’s 5 year plan and social enterprise being adopted as part of the World Network of BRs Strategy and Draft Action Plan for the next 10 years (currently under consultation) that will be launched at the 4th World Congress of BRs (4WCBR) in Lima in March 2016. In October 2015, ASC hosted an international conference in Galloway & Southern Ayrshire Biosphere (G&SA BR). Deputy First Minister, Mr John Swinney recorded a welcome message for the conference delegates supporting this work. Mr Swinney’s message was also sent to South Korea, Vietnam and UNESCO Jakarta to help us build and facilitate a knowledge exchange bridge between the south and the north BR networks around the subject of social enterprise. The response to the video message has been very positive, with delegates from all countries recognising the value of having strong support from the Scottish Government. This conference successfully delivered a collective response from the international delegates to the Draft Lima Action Plan for the World Network of Biosphere Reserves. The conference also delivered a co-produced a thematic SEBR Strategy to guide the establishment of a global thematic network of Social Enterprise in Biosphere Reserves. ASC has been invited by UNESCO Organising Secretariat of the 4th World Congress of BRs to chair the Workshop on ‘Economics in and around BRs’ at the Congress of BRs in Peru this March 2016. This is a significant outcome as it recognises the work around social enterprise in BRs supported by the Scottish Government as being a key theme for the Congress. The aim will be to establish a global thematic network for Biosphere Reserves through which to deliver and evaluate progress of the SEBR Action Plan, which will include a target of 15% of all services (multiple sectors including agriculture, tourism, local crafts, renewable energy, etc.) to be delivered through social enterprises by 2025. We also wish to identify the amount of social investment currently going into supporting social enterprise within BRs and to introduce a target of $10 million globally, by 2025. To facilitate this work in Lima, we will be launching an online platform to collect and report on the socio-economic impact of BRs. The new Platform will be called OASIIS (Opening Access to Sustainable Independent Income Streams). 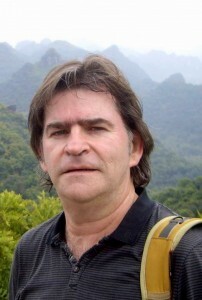 The OASIIS Platform will be the visual, online representation of the global thematic network. The Platform will enable us to work with our partners to gather information from thousands of businesses in all corners of the globe to benchmark the current size and scope of socio-economic activity within BRs, with a specific focus on social enterprise activity to highlight the incredible opportunities they offer to support fragile local communities their cultures and their natural environments. We will also gather information on social investment funds in BRs and identify the amount that is invested in social enterprise development globally. ASC is keen to talk to anyone interested in helping us achieve these aims, so please don’t hesitate to get in touch if you or your company can add value to this work. Follow us on Facebook or Twitter to stay up to date with news and events!